WHITE SILKIES c/c or I/I on any other colour. 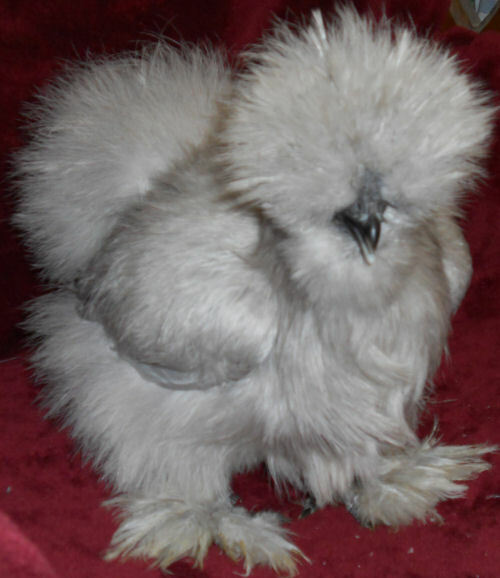 In Australia, silkies tend to be c/c, or recessive white. 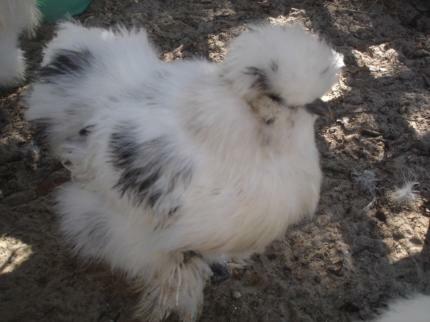 The dominant white gene I needs to be introduced from another breed, such as white leghorn. ER/ER S or s+ and other melanisers. 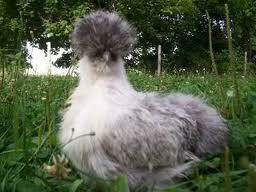 Roosters get a bit of gold or silver in their hackles at about 1.5 years of age as they are rarely on extended black. 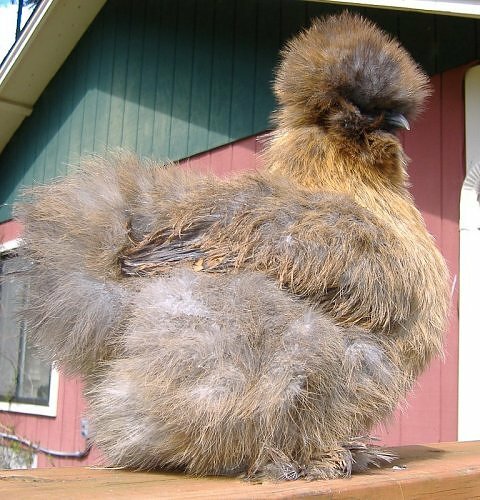 According to "Silkies and Silkie Bantams" by Sigrid Van Dort, the eb recipe listed first is the most common genetic basis for black silkies. 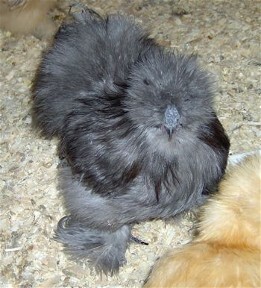 The common fault of partridge silkies having a black crest can be attributed to the Cha (Charcoal) gene. It is an autosomal, incompletely dominant gene. In America the partridge colour is based on gold, with the addition of Mh. Once again, the undesirable black crest can be attributed to the presence of Cha. Buff is a difficult colour and can be based on partridge (eb) or wheaten (eWh). On eb based buffs its very hard to breed out the black, while on eWh the birds can tend to be white undercolour. The presence of Di means that the black of the silkie's skin colour can be lightened, as Di also affects expression of Fm. 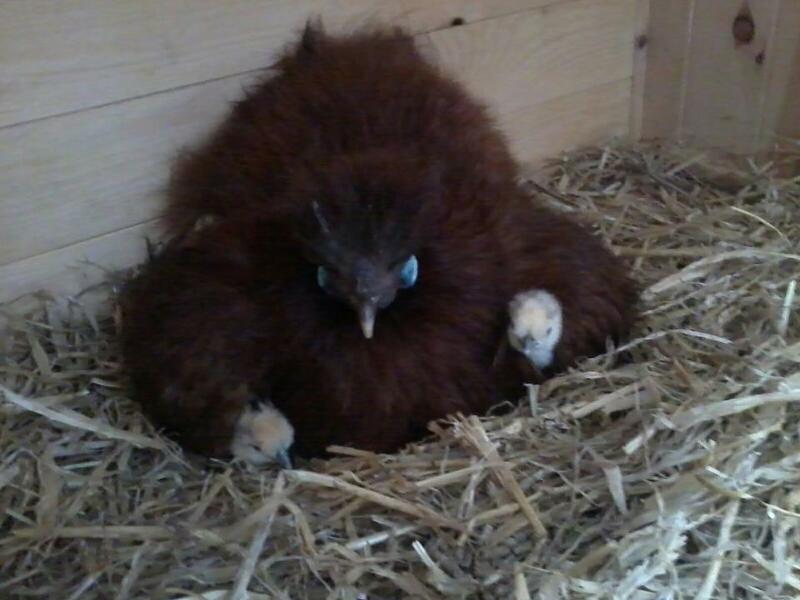 I believe there are some people working on red silkies in Australia. 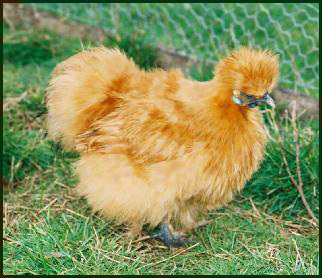 In America, the genetic basis of the colour red in standards and bantams are not the same, dependent upon the birds that were crossed with the silkies to get this colour. I think it also depends which colour you use to get the lav, for example birds that have been bred to black birds will be split for E or ER depending upon the genetics of the black bird. Any of E or ER or eb s+ or S (S/s+ roosters are possible) Pg/Pg Ml/Ml Bl/bl+ and recessive melanisers. 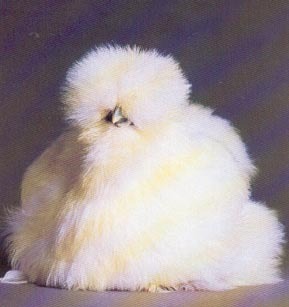 Any of eb, E, or ER s+ or S (S/s+ rooster) Pg/Pg Ml/Ml B/B or B/-(hens) and recessive melanisers. eb/eb s+ or S Ml/Ml maybe Mh/Mh dominant white action, recessive melanisers, sometimes with addition of blue. A colour which is under development and not fully understood.